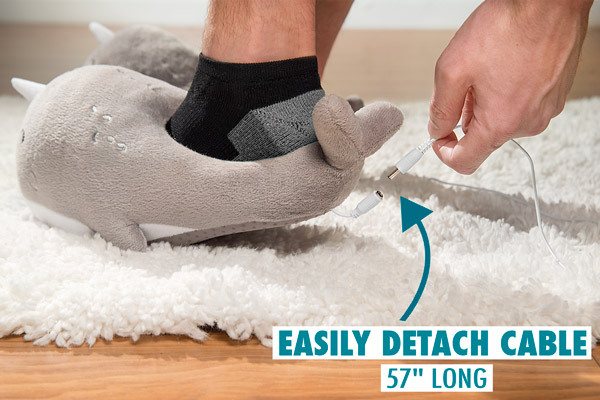 USB Narwhal Footwarmers: Heated USB slippers that look like happy narwhals. Narwhals keep warm as they swim through icy Arctic waters thanks to their natural blubber insulation. 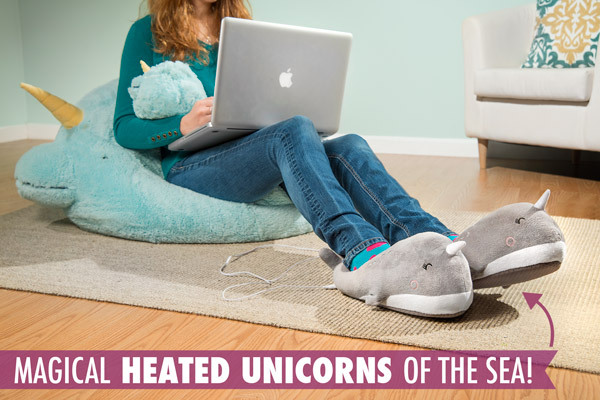 These smiling narwhal slippers keep your feet warm thanks to integrated USB-powered heaters. For most people, a narwhal sighting is a rare occurrence. And since you’d need to travel to the arctic circle, it’s usually a pretty cold one too. 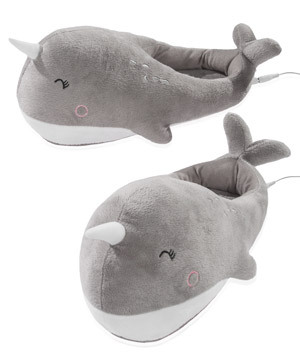 Instead, opt to stay in, stay cozy, and get a good look at two happy narwhals when you slip on these heated slippers. The feeling is a magical experience. If you wish for toasty feet, they’ll grant it! They may look like cheery narwhals on the outside, but these foot warmers are comfortable cozy slippers on the inside! The plush cotton/polyester blend insulates the warmth of your feet. And when you plug them in, an active electric heater amps up the comfort factor even more. The cables are a generous 57” long, allowing you to shift and move naturally in place. 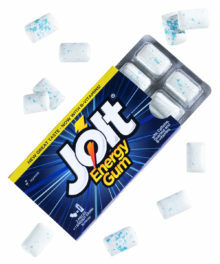 And they easily unplug for when you need to swim freely about your space. Think of the cables as leashes for your new pet narwhals. These slippers represent two of the best —or at least the most cheerful—specimens of monodon monoceros, the majestic narwhal. With rosey cheeks, a soft horn, cute little pectoral fins, and plenty of space for your feet, these slippers have a cute appearance that will warm your heart as they warm your little piggies. Question: Can I walk around while wearing them? 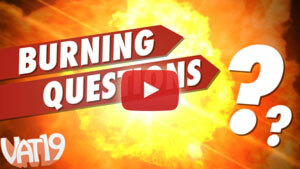 Answer: Once they’re unplugged, you’re free to parade, saunter, or amble around the house at your leisure. Of course, since they’re soft-bottomed slippers not designed for outdoor use, we recommend using them as house slippers rather than everywhere slippers. Question: Will they remain hot if I unplug them? 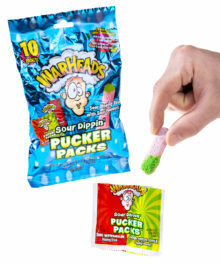 Answer: The Narwhal Footwarmers will stop actively heating as soon as you unplug them. However, they’re still insulated slippers and will remain plenty cozy.